Artists including Franko B, Fiona Banner, Cornelia Parker Angela de la Cruz, Bob & Roberta Smith, Richard Long, Hamish Fulton, Goshka Macuga, Paula Rego, George Shaw, John Stezaker, Erik Van Lieshout have given among many other established and emerging artists in the UK and abroad. 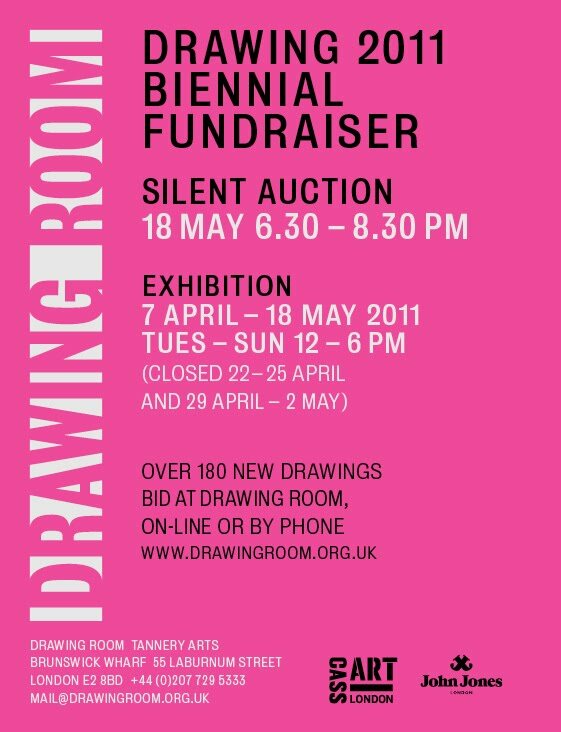 The drawings are to be exhibited for four weeks, culminating in an exciting silent auction event on Wednesday 18th May. 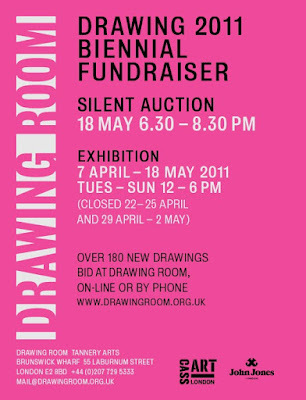 The Biennial Fundraisers offer the perfect opportunity to purchase unique works on paper by major and upcoming artists. Group exhibition at Beaconsfield, London. Fraternise – the Salon gathers a cohort of artists in a curated, fundraising exhibition, to support the future existence of Beaconsfield. Franko B, David Birkin, Matthew Burrows, Tamsyn Challenger, Jules Clarke, Ben Cockett, A. David Crawforth, Judith Dean, Mark Dean, Nicholas Deshayes, Adam Dix, Robert Ellis, Laura Emsley, Peter Fillingham, Edwina Fitzpatrick, Eloise Fornieles, Stephen Fowler, Rachel Garfield, Mary George, Mathew Gibson, Colin Glen, Lucy Gunning, Matt Hale, Damien Hirst, Rachel Howard, Marc Hulson, Sarah Jones, Sarah Lucas and Olivier Garbay, Ross McNicol, Charlotte Moth, Monika Oechsler, Tom Ormond, Boo Saville, Naomi Siderfin, Dafna Talmor, John Timberlake, Caroline Todd, Roman Vasseur, Joseph Walsh, Amelia Whitelaw, Erika Winstone. The Salon brings together collaborators, patrons and protégés who have worked with Beaconsfield or who support its role in the artists’ community. The Salon offers a rare opportunity to view a diverse range of contemporary works (many artists exhibiting together for the first time) and to start or expand a collection. Sales will benefit both participating artists and Beaconsfield. Fraternise is a fundraising scheme established in 2005 to reflect Beaconsfield’s core values, forming a community of artists who demonstrate their support in practical terms by providing the potential to secure Beaconsfield’s future. Fraternise – the Salon is co-curated by the charity’s artist-trustees, Rachel Howard, Judith Dean and artist-directors David Crawforth and Naomi Siderfin. Review for I STILL LOVE, Franko B's latest monograph, published by 24 Ora Cultura, Milano. The monograph coincides with the artist's recent solo exhibition at PAC, Milan.